Being an adventurer is the most amazing thing because adventurers are the ones that live life to its fullest. An adventurer loves the mountains or the sea or even both. However, at times when you want to row against the waves, you always ask yourself what would be the best kayak to do that with, as this can get a little tricky at times even if you are an expert in rowing. In this article we will present to you the Sun dolphin aruba 10 kayak review that will help you achieve all your watery adventures. It is a 10 foot long beautiful Aruba sit-in kayak, which will provide you with the comfort to row away your tensions in the streams. Before we jump into the specs and how wonderful this kayak is, let us first brief you about Sun Dolphin the manufacturer. Sun Dolphin is one of the biggest companies to make brilliant watercraft in the world. The company was established in 1982, and started out by making only paddle boats. The base of the company is in Michigan where they manufacture their amazing watercraft. The goal of Sun Dolphin is to make affordable yet remarkable boats and kayaks for everyone in the world. Since then, the company has flourished and started to make many kinds of watercraft and boats. These kayaks are best for relax and looking at the beautiful scenery and surroundings and getting lost in the moment of appreciating the nature. You can check out other kayak brands here. Sun Dolphin also makes fishing kayaks that are perfect for fishing alone or with a partner. Other brands of fishing kayaks can be found here. They make canoes for you and your family that you can enjoy while rowing on the gentle or powerful streams. They make brilliant pedal boats that are perfect for your kids. They are tested and are sure to keep your children safe while allowing them to have some real fun on the water. Apart from fishing kayaks, Sun Dolphin also makes fishing boats for the entire family or for you alone. They also make paddle boards for all the surfers or yoga lovers. You can just stand on these luxurious paddle boards and do yoga or just surf the waves. Sun Dolphin’s Aruba line is the line of their recreational kayaks, which you can use to row yourself into the blissful prettiness of nature. Going out on a trip where there are gorgeous water and not having a perfect kayak to truly enjoy the water is a tragedy. Aruba kayak comes in 2 models, Aruba 10 and Aruba 10 SS. However, here we would only be talking about Aruba 10 model. 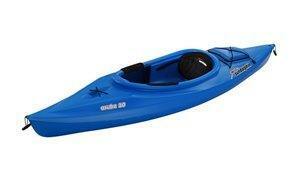 It is a great affordable piece of watercraft that is built only for your comfort and ease. It ensures that you get to enjoy all the beauty the nature has to provide on and in water. Here are a few specifications of Sun Dolphin Aruba 10 Kayak. The length of this kayak is 10 foot. Easy and comfortable length. The width is 30 inches. It is broad enough to make you sit comfortably. It weighs 40 lbs. It is kept light weight so it is easy for you to carry it on your travels. It can carry a weight of 250 lbs. Majority of the people can easily use this Aruba kayak. 1. It has an easy and large open cockpit for your entry and exit. 2. At the back of the cockpit, there is an adjustable padded seat to support your back softly. 3. On the rear side of the kayak, there is a large compartment to hold your stuff in. 4. On the front and rear edges, the kayak has the carrying holders. 5. It has a water bottle holder on the front. 6. Two padded thigh guards are attached to each side of the cockpit. 7. It also has a paddle holder. 8.It is great for rivers and lakes. 9. The foot braces of the kayak are adjustable. 10. It has cord deck rigging to keep your water gear safe. 11. It is made of stabilized Fortiflex®, high density polyethylene. The gear storage - It would make it easier for you to take a short trip away from your hotel or camp. The padded back and thigh protectors - They would make sure that you do not get hurt due to the bounce of the waves and enjoy without any worry. No height issue - It has adjustable foot braces, which makes it okay for people of all heights. Stabilized Fortiflex® - It is made of good and sturdy material that can take the water pressure. Water bottle and paddle holders - You will not have to keep the paddles in your hands at all time, you can just put them in the holders and enjoy the view. Plus, all the paddling would make you thirsty so the water bottle holder would come in real handy to keep you hydrated. It is a solo kayak - This kayak is not for you if you want to enjoy the ride together with your friend or partner. In order to do that, you would either have to get a separate kayak or a tandem kayak with two seats or cockpits. It’s a little expensive than the rest - It is a little bit high on cash as compared to the other Aruba kayaks of Sun Dolphin but it is also better than those old models. 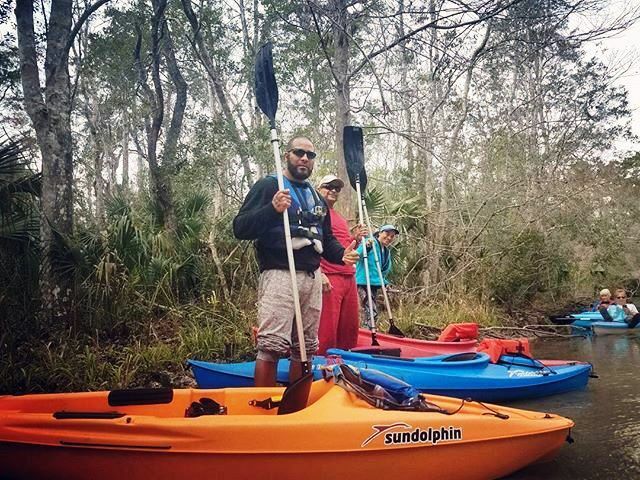 As far as the customer reviews go, Sun Dolphin Aruba 10 kayak review has got splendid ratings and a high number of very much satisfied buyers. Around 91% of the buyers of the Sun Dolphin Aruba has given it a 5/5 rating with very reassuring comments. People said that it gives you the right value of the money you spend to get it, it is reliable and durable, the handling and quality of the kayak is top notch, and it is very comfortable. Some even took their pets for a ride and realized that it was very pet friendly, especially for cats. Some let their kids try and claimed that it was child friendly as well. The other 9% of the customers that gave lower reviews was because there was a problem with the package when it arrived, one complained about a missing piece and the company’s customer service was not good enough for some. For some people the product was of different color than what they ordered. All in all, we believe that 91% of good reviews supports all the great features and specifications this 10 feet long kayak has. They also boost up all the pros of this magnificent watercraft by Sun Dolphin. If you are planning a trip that would involve interactions with lakes and streams, this Aruba 10 is definitely made for you. 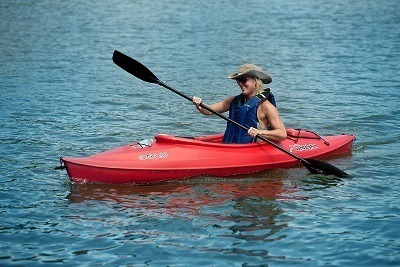 It is convenient, easy to carry, comfortable and the best out of all the recreational kayaks. So, wait no longer and get this bad boy.